Design is inextricably linked to innovation. Maps are great for decision-making (ex. where’s the nearest restaurant, how to get from point A to B)… they’re even better when you know how use them to help analyze data and information (thank you geography degree). A lot of data visualization automation software exists now that can produce charts, graphs and even maps to help see trends and patterns. But when it comes to really understanding and analyzing information, there’s still a lot to be said about including a human touch/perspective to data and information visualization. 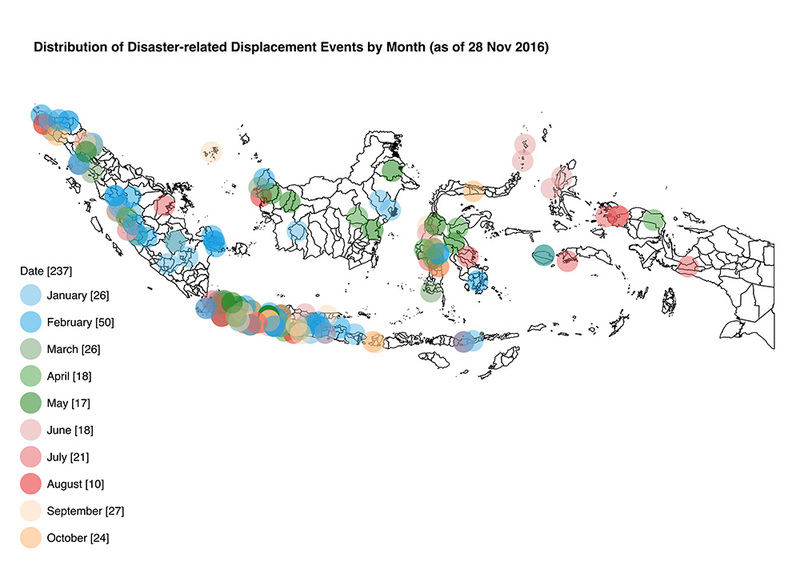 One of the projects I’ve been working on is to capture and analyze disaster-induced displacement information for the Internal Displacement Monitoring Centre (IDMC) and it’s Global Report on Internal Displacement and Global Internal Displacement Database. 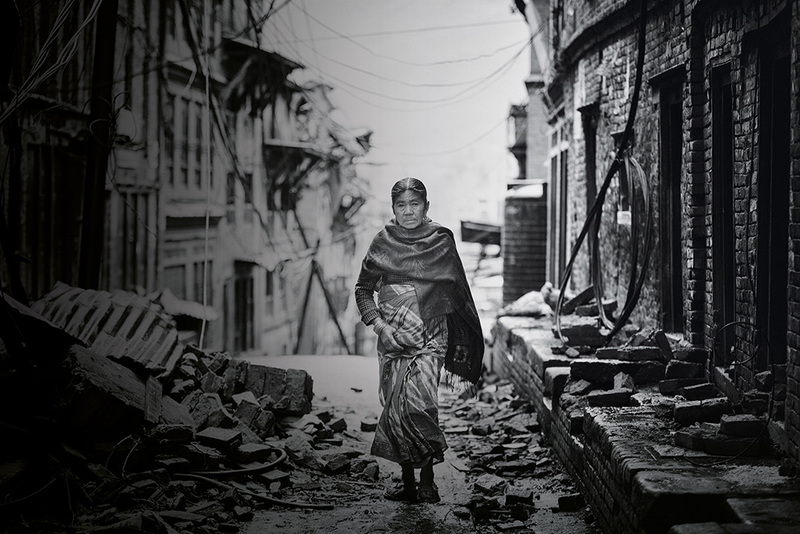 One of things IDMC wants to know when a disaster strikes, like a flood, hurricane or earthquake, is how many people are displaced? It’s a simple research question that usually doesn’t lead to a straight-forward answer. Challenges can include lack of government monitoring for this kind of information, data collection and standardization issues, accessibility of said data, or even the political nature of publishing and sharing this information. Fortunately some governments actually do a great job in collecting, processing, and publishing this kind of information. Indonesia is one of them. 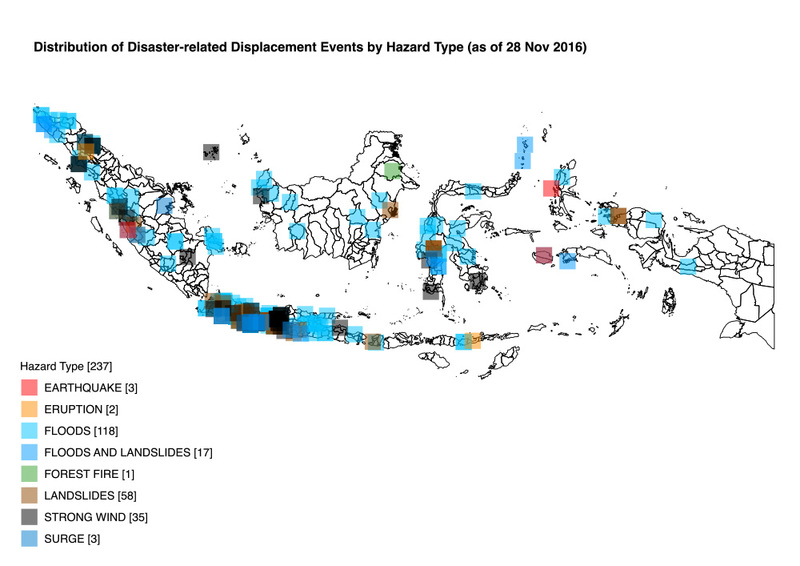 The government provides a disaster data portal which it maintains on a regular basis that tracks where a disaster takes place, when it happens, what kind of hazard triggered the disaster event, and the people killed, missing, injured and displaced/evacuated. 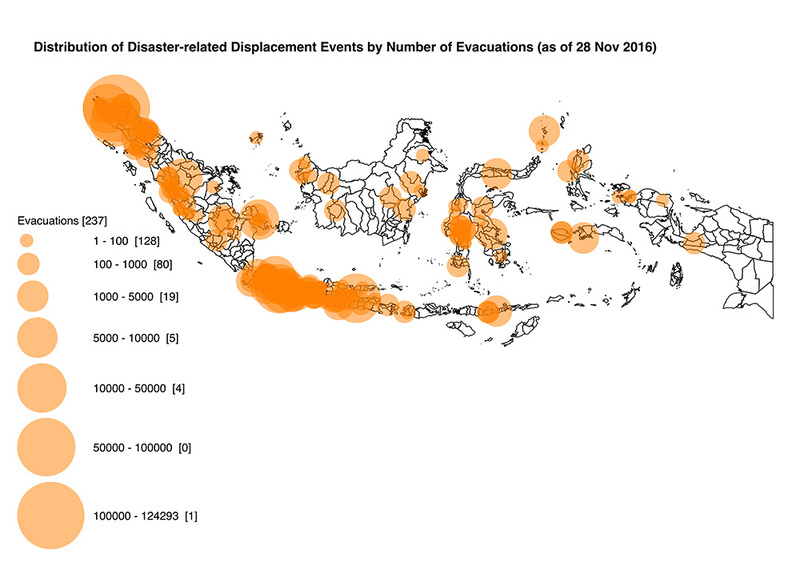 For one of the most disaster-prone countries in the world, having this kind of information online, updated and easily accessible is an asset for research organizations like IDMC to be able to develop policies and recommendations that can have an impact on saving lives. 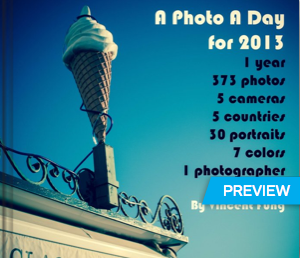 While the website has automatic visualization features, it requires a lot of assumptions and understanding by the user to know what to search for. At the same time, it is a bit challenging to use since it’s an online portal that has limited visualization and analysis capabilities. As part of my research, I decided to put my geography background to work to make sense of this data. I downloaded the raw data in Excel format and in most situations a quick manipulation of Excel can reveal some trends. However the Excel included too many data points with differing variables like event date, hazard type, and location. I wanted to find a better way to make sense of its data so I decided to plot the data using QGIS, a free open-source Geographic Information System (GIS). The Excel included raw district-level disaster information that goes back as far as 1815. 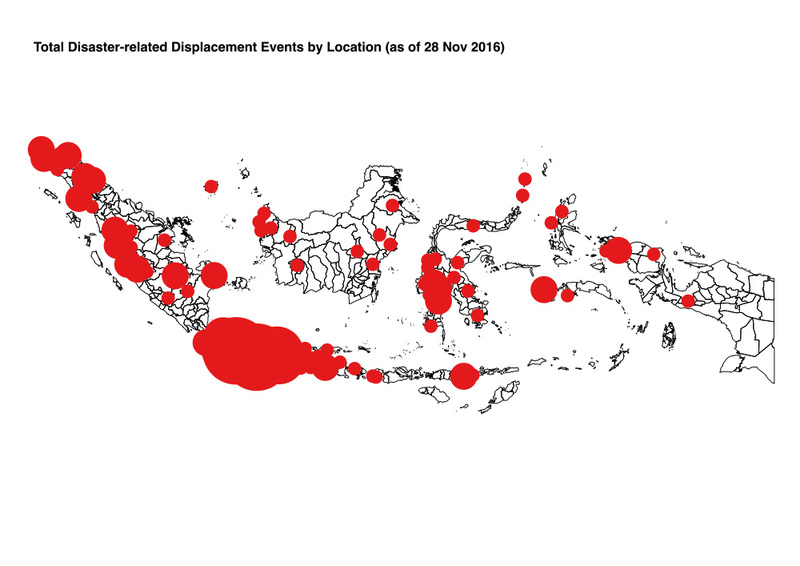 I only need 2016 data so I filtered the data set and extracted all 2016 data that included “Mengungsi” or evacuation values greater than zero. In order to plot the data on a map, I needed to add spatial information to the data set. 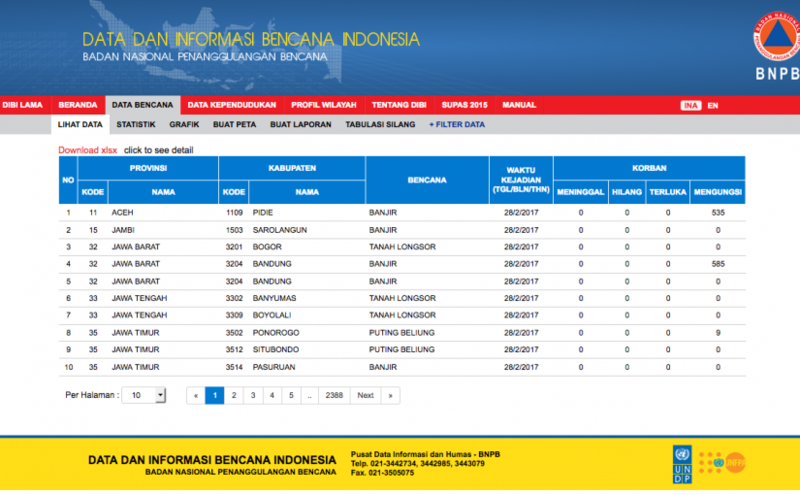 As the Indonesian data was broken down by districts, a quick search led me to district boundary level data published by the World Food Programme – unfortunately I couldn’t find district-level spatial data on the government website. Once I joined the Excel sheet with the district boundaries, I still needed to clean and verify that all districts in the government disaster data set matched the WFP district boundary data set. This is key otherwise the data can’t be mapped by QGIS. Since no GPS locations were included to pinpoint exactly where each disaster occurred, I defined a centroid (i.e. a point at the centre of each district boundary). This allowed me to plot each event as a specific point on the map to help in analyzing and aggregating information since multiple events can take place in one district. It may not have been pretty, but it did make it easier to interpret the data based on hazard type, event date, and geographic location. And it made it more effective to work with when I wanted to conduct further analysis, run queries to address different research questions, and produce maps like the ones below. Data visualization automation software and websites can be useful, but it’s also great to have a skill like old-school mapping and cartography to turn to when I need it… times and projects like these make me realize how useful a geography degree can be. Next Next post: Have you set your legacy contact on Facebook?